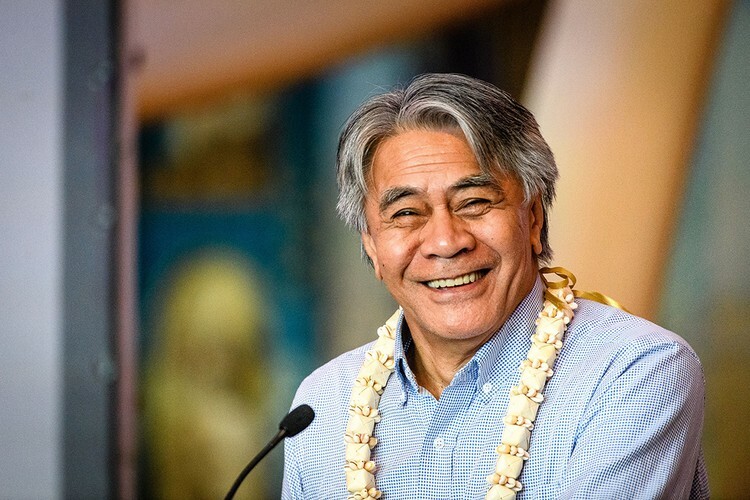 Join us for an entertaining evening with MC Herbert Bartley as Ngā Taonga Sound & Vision and Siapo Cinema: Oceania Film Festival honour Maiava Nathaniel Lees for his outstanding contribution to theatre and film. From The Matrix to Power Rangers, Mortal Engines and Sione’s Wedding, Nat Lees is a well-known, award-winning actor, director, writer and producer. Working in film, theatre and radio for over 30 years Nat has performed in all the major performing arts venues in Aotearoa and has over 70 theatre credits to his name. Nathaniel’s theatre directing credits include the premiere season of “All our Sons” by Witi Ihimaera and awarded “Director of the Year 2015”, and "Fale Sa" a beautiful art piece which featured as part of the Pacific Arts Festival in Guam, 2016. He has recently performed in the critically acclaimed and exquisitely creative play about a 21st-century dysfunctional family - Hir by Taylor Mac. Nathaniel’s performance work in film and television is well documented and spans a period of over 30 years in the industry nationally and internationally. His Producer credits include “The Orator,” written and directed by Tusi Tamasese; the 1st New Zealand feature film to be nominated to contest the Best Foreign Film Academy Awards. Fale Sa by Nathaniel Lees - Pacific Arts Festival, Guam 2016.